Don't be fooled by other glasses for Mrs. Beasely that are TOO WIDE across the nose. My Glasses are copied from Mrs Beasley's Original Glasses. Unlike the Plastic Originals (that are held on with a band). They are made from One Continuous Wire and Will Stay on Your Doll's Face without any help from a Rubber Band. NEVER RUST, AND PAINT WILL NOT TRANSFER ON YOUR DOLL'S FACE.. SATIFACTION GUARANTEE. These Nice Glasses actually stay on with no help. No marks left on the doll after they are removed. Glasses are $12.50 each which includes 1st Class Shipping and Delivery Confirmation. Addition pairs are $9.00 each. 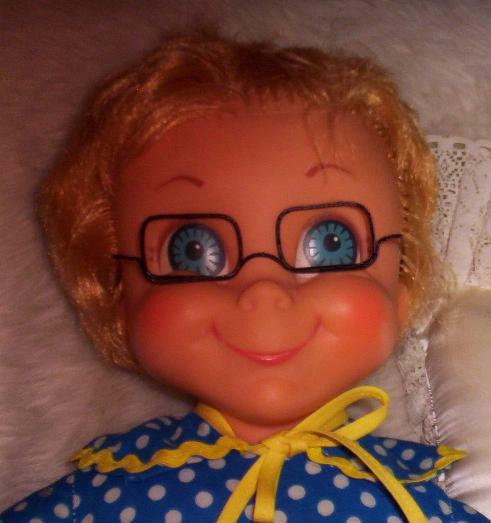 Need your old Mrs Beasley Repaired? Click on my other links!! Thanks for your visit. All Returns must be in same condition as sent. 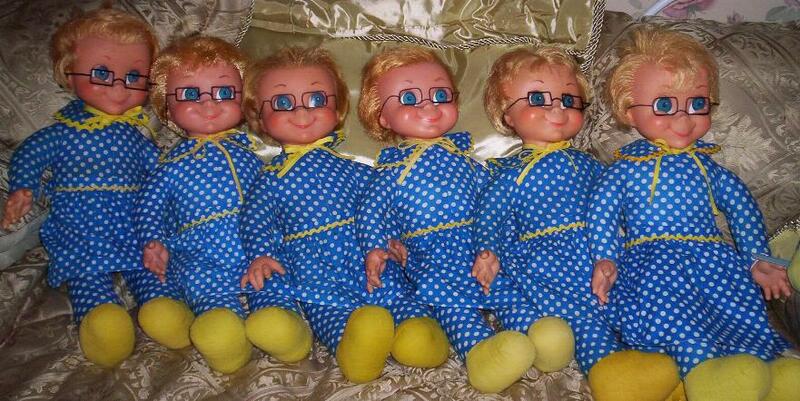 Click Here to Buy "Mrs Beasley Dolls"